From: Barbara Streit/Urs Schweizer, Zurich – reprinted with permission from umc-europe.org. On Friday, June 19, 2015, retired missionaries Hugh and Shirliann Johnson were honored with the World Methodist Peace Award of the World Methodist Council. 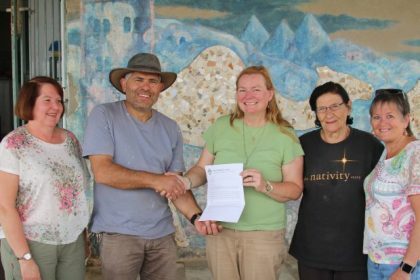 They had served the United Methodist Church in Algeria for more than 40 years and did not cease to strive for peace and reconciliation in spite of threats and setbacks. “Why we?,” the couple asked when they realized that they were selected to be the recipients of the 2014 World Methodist Peace Award. “We did not do anything special,” stated Hugh Johnson during the official ceremony. For more information about the World Methodist Council and how your donations can help further our mission, please visit our donations page.